Check out this amazing photo of an elephant tree. 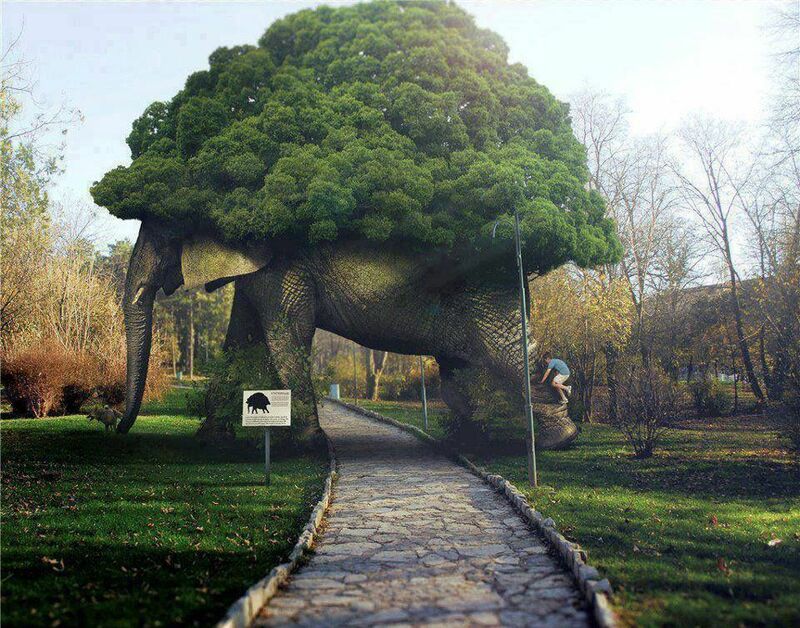 Half tree and half elephant, it appears to be a tree complete with wooden sculpture to make it look like an elephant. Or perhaps it's an elephant equipped with some kind of shrubbery backpack. We don't know what it is exactly. We don't know where it is either, but we'd really like to go there! The question is, is it real? Let us know what you think in the comments.